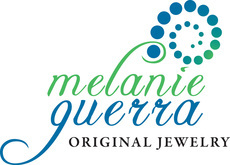 All of my jewelry is one of a kind, handmade in the Boston, Massachusetts area. My concentration is currently working with Precious Metal Clay, but I also continue to do wirework, beadwork and occasionally experiment with new processes. Wear my pieces knowing that more than twenty years of designing and creating is behind my work - and custom pieces are my specialty!